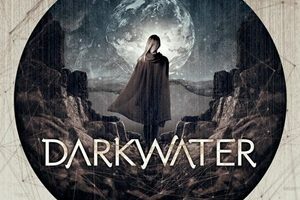 Active since 2003, Swedish band Darkwater have slowly and steadily developed a fanbase due to their melodic power/progressive metal style. Over the course of their three albums, followers have gravitated towards their wide array of approaches and musical interplay – stunning the listeners while also injecting that proper catchy/hook nature necessary for people to walk away retaining the material. It’s obvious that even with the band’s third record Human that Darkwater aim to develop a following that has an appreciation for progressive rock and metal throughout the decades musicians have been honing their skills at their craft. Seeking to learn more about the band, keyboardist Magnus Holmberg answers questions from the nine-year absence between studio albums, thoughts on the differences between the three Darkwater records to date, the memorable US performances the band has had, and the future plans for the group. Dead Rhetoric: Human is the third Darkwater album, and first in almost nine years for the band. What circumstances and events took place for the prolonged absence from the studio, and how do you assess the development of the record from start to finish? Magnus Holmberg: I would say that one big factor was life itself as the main reason for the prolonged absence. For example; people in the band have gotten married, children have been born, houses have been bought and repaired, some relatives have passed away during this time and so on. Therefore, you might say that the title of the album is a fitting aspect of the ordinary things in life as well as the much deeper thoughts even for us in the band. There hasn´t been a total absence from the studio. Almost everyone in the band has been recording stuff for other projects/bands and doing music related things on the side. Some of the songs on the album are actually quite old, written almost directly after the record before this one (Where Stories End), and some of them have been written a bit later on. But they all are a few years old. This means that we´ve had some time to really look through each and every song, the arrangements on them, thoroughly – and change what wasn´t good enough. We really wanted to present an album for the audience that we as a band could stand for and enjoy, especially since we´ve been away from the spot light for so long. Dead Rhetoric: Where do you see the major differences on this record in comparison to your previous two albums? Do you feel like you have more confidence and ambition regarding the songwriting and intricacies you develop within your melodic power/progressive metal style? Holmberg: I think this album is somewhat more mature (I know it´s often a boring thing to say about a record) than for example the first one (Calling the Earth to Witness), but more wide open and experimental in the mix of styles than the second one (Where Stories End), so I would say that it´s either some kind of mix between the two previous albums or possibly, and hopefully, a step forward. I think that each album has its own style and we have changed the mix/production for every new album, so I hope that people see and enjoy that we try to renew the sound and creations every time. Yes I would say that we are far more confident in our songwriting these days, because we now more than ever are getting the feel of what is the Darkwater-sound, and what you could call a Darkwater-standard, and I think we as the songwriters know more instantly what´s good enough and what´s not, more so than before. The ambition is higher than before as well because of this. Since the main songwriters in the band have worked together more with the songs, at least with the arrangements, melodies and different parts, we all were more involved in the process and didn´t want to let anything pass through that we all thought wasn´t really good and of a high standard. This may sound pretentious and perhaps a bit calculated, but I promise you that the playfulness and love for the music is still there, that´s ALWAYS the most important thing of course. Otherwise we are playing music in the wrong genre. Progressive is playfulness and love for the music! Dead Rhetoric: You decided to keep the lyrical themes more personal regarding the struggles and relationships that we as humans have. Did you draw upon specific personal relationships and experiences that you’ve had over the years – or were there other inspirations/influences that took shape? Holmberg: I would say that the lyrics on this album are a mixture of human thoughts in general and highly personal thoughts, feelings and experiences. Therefore, we thought that the title of the album (Human) was as simple as it was quite good, when we looked through each other’s lyrics/texts for the songs and noticed that we all had written texts that circle around the human mind and thoughts from different angles and aspects. We never wanted/had in mind to do a concept album of sorts. Perhaps next time though, who knows. Dead Rhetoric: Tell us about the video shoot for “Alive (Part II)” – how did you develop the treatment and the mixture of band performance footage against the actors and storyline? Holmberg: The ideas and layout of the concept in the video was a cooperation between the band and the amazing team at 11 Frames. The lyrics of that song “Alive (Part II)” can have different interpretations, depending how you look at it. So we wanted to hear how an outside team (in this case 11 Frames) takes an interpretation on the story/lyrical meaning. When we decided how we wanted to proceed, and how the story should be presented in the video, we then searched for actors who were up for the task, and I must say that the two we chose in the end (a couple in real life) really exceeded our expectations, (they were) really great actors. Then we met up with the film team in the Swedish town Gothenburg and shot the scenes with the actors for a couple of long days (very perseverant film team, make-up staff and actors I must say). A week after that it was time for us in the band to perform for the video. We filmed one member at a time (in the 11 Frames studio outside Gothenburg) that they mixed in with rest of the story- based footage later on. We wanted to focus more on the story and the actors rather than on us in the band. That’s why the clips on us band members are so quick and so few compared to the rest of the footage. Dead Rhetoric: The new album also is the band’s longest at over 76 minutes – does it ever worry you that you may overload the listener with too much musical information at once, or does it go hand in hand with the genre you perform in? Holmberg: That´s nothing we ever think of when we write our music. The length of a song is neither shortened nor lengthened just to fit a concept either as a possible single or just because ‘prog songs are supposed to be long’. Sometimes we cut parts of a song because it´s perhaps not good enough, but that´s more to raise the overall quality of the product. After we are done with the arrangements and that sort of things, and if we in the band are pleased with it and enjoy it, then I hope the audience will as well. There are a couple of songs from the previous records that I think perhaps are a bit too long and/or have some ‘unnecessary’ parts, so maybe I could say that the listener could be a little overloaded with the music there, but on this album I don´t think (or at least hope so) that they are overloaded in that sense. I personally think that every part on every song has a reason and a meaning for its existence on this album. Dead Rhetoric: How would you describe the differences between the studio and the stage for Darkwater? Do you prefer one over the other – or do you enjoy both equally? Holmberg: I would say that we differ somewhat in that matter amongst the band members, some like the stage more and some like the studio, or perhaps rather the song writing process, more. Of course we all enjoy seeing the direct reaction to the music that we have produced and worked on for such a long time. It´s been a while since we played together, at least as Darkwater, so it will be fun to play the songs again, both the old ones as well as the new ones from Human, for an audience. Dead Rhetoric: What have been some of the more memorable performances for Darkwater over the years? And what do you believe in your eyes makes for a great live performance – is it more about the quality of the show sometimes over the quantity of the people? Holmberg: There have been many memorable moments, both on and off stage. But I must say that the two gigs we´ve had in the USA so far ranks high on the list of most memorable gigs. The first time (at the Bay Area Rock Fest in San Francisco 2008) was fun for a lot of reasons; for example, a great audience and many great bands, including Jeff Scott Soto and Liquid Tension Experiment. Playing at Progpower USA XII (in 2011) was another great moment for Darkwater because I guess it´s the biggest scene for our kind of genre, and the gig in itself was a great experience and so much fun. The quantity of the people is of course fun as a first aspect of a gig, but the quality of the show is always the first priority. They can go hand in hand; if there´s a big crowd in the audience you get a little more energy and adrenaline and because of that you sometimes try a little harder to do a better show, partly for the audience and partly for your own personal fun and sake. Having said that, a small crowd can add a more personal and cozy feeling to it and that can sometimes be easier to do a relaxed and more intimate performance. Dead Rhetoric: Discuss the importance of your management, record label, and promotional team in achieving success as Darkwater? How does the band navigate the ever-evolving landscape of social media and instant feedback when connecting with your fans to stand out against the thousands of other bands in the scene? Holmberg: I would say that all that is handled with perfection by Ulterium Records and of course it has importance for the wider spread of the music. The music is one important part obviously but without our label’s help we would most probably not be where we are today. Ulterium has promoted the album/albums very well and helped us in every way possible and still let us do our thing with the music to 100% and have not ever intervened in either the creating of songs, sound or production. So we are very pleased and so therefore yes, the importance for us is high. We are trying to use social media quite frequently (some of the band members more frequently than others) and it often pays off very well with the instant feedback and the direct contact to and from the fans. I think that brings us closer to the fans and that is a win both for the moment as well in the long run. I don´t really know how other bands use their social media towards their audience, but I think we are quite ordinary people and don´t try to be more than we are, and that´s how I think we present ourselves in social media (might be a very Scandinavian way to be I think). Perhaps that´s how we stand out from the rest of the bands; like a display of how ordinary you can get as a band…hmmm, we really have to work on our mysterious touch much more. Dead Rhetoric: How do you assess the career of Darkwater at this point in time? What steps are next do you believe in moving up the ladder so to speak in terms of developing an even stronger following? Holmberg: Having in mind that we have only released three albums and have been off the radar (at least with Darkwater) for nine years (if you only refer to the albums), I would say that we are very pleased with and humbled by the really devoted and great fans for their support, love, perseverance and understanding. In other words, I would say that we are very satisfied with our career so far. With that said, we will of course not take it easy and relax at this point, but we will of course try to pick it up a notch (and not wait another nine years for example) and try to climb that mentioned ladder. One way to do it is of course to be seen more in different areas; more gigs, more activity on social media, more videos and so on. And that´s what we are doing much more these days than ever before. Dead Rhetoric: What are your thoughts on the power/progressive metal scene currently? What are some aspects that you are pleased about – and what do you think needs to be worked on and developed for a healthier outlook long-term? Holmberg: I personally don´t actually follow or listen to so many of the new power/prog-metal bands these days, so I can´t really say that I follow the scene in itself so very closely. Nowadays I´m more into the old school of prog, such as old Genesis and those kind of bands. I like the music that I listen to to be kind of an adventure, a playful musical exploration of some sort. To compare it to watching a movie; you want something that you really haven´t seen (listened to) before a thousand times and you don´t really want to be able to predict every scene/part of it and you want that childish feeling of excitement after you´ve seen it (heard it). There are of course current bands (both new bands and bands that have been around for a while) that I enjoy and that I think have that ‘adventurous’ feel to it (and/or a great sense of melodies), for example: Scar Symmetry, Symphony X, Anubis Gate, Zierler and so on. To answer your question; yes, the prog scene is very much alive and thriving and a force to be reckoned with, at least if you look at how much support and feedback you get from fans, not just towards us but to many of the prog bands out there. The songs and melodies should always be in focus, that is what people will remember, great musicality and tricky parts are great, but the memorable song will always win in the long run. That´s how I see it at least. Dead Rhetoric: What types of activities, hobbies, and interests away from music do you like to engage in when you have the free time to do so? And how do you manage the work/family/career balance that has to take place, do you have the support for your music endeavors of your friends, family, and wife? Holmberg: The band members with families and children have their hands full with that part, but otherwise I guess it´s same for us in Darkwater as it is with all you other guys; we fix our houses, we hang at the pub with friends, we go on road trips in the summer, we watch a bunch of Netflix-series and movies and eat chips (which makes it necessary to sometimes go to the gym, or otherwise we would turn out very, very fat) and so on. We cannot all be like Bruce Dickinson in Iron Maiden, who seems to be leading a thousand lives at the same time and seems to have the time to do a bunch of things. It would be great to do that though, Bruce is an inspiration in that way (and a great singer in a great band of course). One reason that it took nine years is that people have raised families during this time, so yes, it can be difficult to have time for both family and career as well as working full-time. But it can also be done of course, so now we are back and ready to focus more on the music as well as the other things in life. Yes, I would say in general that we have great support and understanding from our friends and families. They push us in the right direction and raise us up when needed, and keep us on the ground also when needed. Dead Rhetoric: What would you consider three of the most important albums that shaped your outlook either as a musician or from a songwriting/playing perspective? And what’s the best concert memories you’ve had, purely from a fan/attendee perspective? Holmberg: Almost impossible to just rank three albums that have had a huge impact on me considering both musicianship and song writing, but here are three albums that have had much importance for me I think: Marillion – Seasons End: much thanks to the keyboard player Mark Kelley (probably the keyboard player I was/am most inspired from) and the great ambient atmosphere on this album, Toto – Isolation: I believe much of how we (myself and Henrik) began to write songs together in the early 90´s came from Toto (for my part anyway, maybe Henrik was more into Yngwie at that time), Dream Theater – Metropolis Part 1 (of course, almost boring to mention this one but I kind of must anyway) and Symphony X – The Divine Wings of Tragedy (another obvious album to mention, but again I must do it): two bands and albums that got me into the genre for real in the first place. Sure I´ve heard for example early Genesis, Yes and Marillion long before Dream Theater and liked them as well, but it was with Dream Theater, and shortly thereafter Symphony X, that made me, Henrik and our drummer at the time want to change direction for our band in those days (mid-90´s) towards more prog and intricate song structures. When you have seen a lot of concerts it´s quite difficult to say which one has been the greatest, as I have attended so many great concerts. I can for example mention the first time I saw Toto; a band that I listened to a lot over the years. It was in ´95, on the same day that it was a monstrous snow storm in Sweden and the buses to the town where the gig was about to be (Gothenburg) were almost canceled. I think the joy for that concert was extra great because it was one of my first big concert moments and also that we almost couldn´t go there because of all the snow. Other great moments are the first time I saw a big show at a big arena; Iron Maiden at Ullevi in Sweden and the first time I saw Dream Theater, because I really dropped my jaw at that great musicality and that was the first time I was attending a show with prog metal/music. 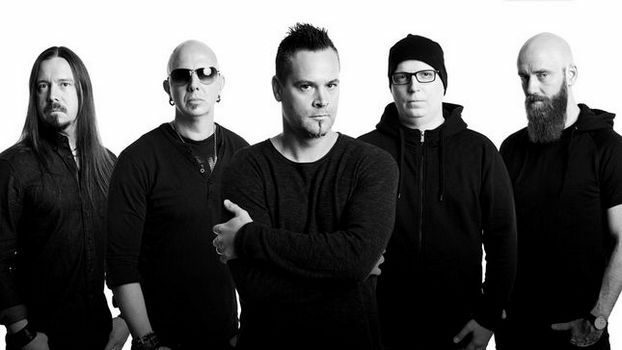 Dead Rhetoric: What’s on the horizon for the rest of 2019 for Darkwater to support the album? Are you hopeful that the fourth Darkwater album will not take as long to be released as the gap between the previous one and Human? Holmberg: Soon we are about to film another music video and we shall soon rehearse more seriously for upcoming gigs during 2019. Soon after that I hope we can start to create songs for our fourth album. This time it will NOT take nine years for the next album, that´s a promise. Now that this album is finally out I´m actually quite eager to produce more music quite soon (there are actually already many songs and ideas to pick from even at this point for an upcoming album).